seeking for true love by joining our singles tours! Here in A New Bride, foreign women are among the chosen ones in terms of long-term relationships and marriage since they hold amazing inner qualities by themselves. Beautiful women from our site are sincerely looking for foreign men who are also capable of committing to them for a lifetime. Dignified, humane and imposing-- these are the words that best describe them. These women have a clean reputation to hold. They are not just good at making themselves look presentable, but are great at keeping the relationship real too. They really devote themselves into a relationship and once they do, expect these ladies to express their incomparable loyalty. They are one-man women and can even make sacrifices to have long-term relationships with their partners. They are wife-material enough to be fought for. They are capable of the following: knowledge and skills on household chores, best parenting capabilities and a strong perseverance in order to stay with you through good and bad times. They are also best at taking care of their loved ones. These qualities make them look dazzling to foreign men. As you read more below, get to be familiar with the amazing qualities these foreign ladies possess. Browse our site and our lists of stunning women to find your future bride! foreign women seeking for marriage! Meet her to marry her! Before you are planning to marry a foreign wife, be aware of the international marriage culture to avoid cultural misunderstanding. To know about these women’s stunning qualities, educate yourself with what is provided below. They are marriage-minded. These women seek real and long-term relationship and not casual dating. In terms of marriage, these women in our site are well-prepared for the commitment and the responsibility of a wife and a mother. Women in here are marriage-minded, a quality that emerged out of their close family ties. Since most of these women are Christians, the good attributes they possess are deeply rooted from their faith. They are good cooks. They won’t just shower you with well-favored affection but with mouth-watering food also. One of their biggest desires is to pamper their family with love and best dishes. By this alone, they make ideals wives already. They always believe that the way to a man’s heart is indeed through his stomach. They make time for you. Even if they are loaded with tons of work to do, you can always expect a foreign bride to attend to you when you need her. You won’t have to put up extreme efforts and drama to get her attention. She will give it to you the moment you need it. They are very affectionate. They are capable of settling things down in a calm way. These women are gentle and compassionate and it seems natural for them. Showering you with well-favored affection is never a concern when it comes to these women. They will love you unconditionally. 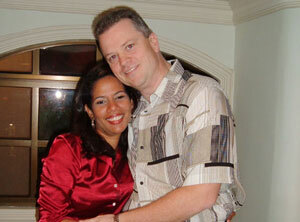 In dating and marrying a foreign woman, you will be assured of an long-lasting love. These women always believe that in order to have a firm foundation in a relationship, a couple must get to establish genuine feelings. These women will unconditionally love the man they will be marrying. They are dating to marry. When a foreign woman decides to commit into a relationship, she already starts thinking what will lie ahead of you. With that, marriage seems to be a perfect vision for her. When they fall in love, they will try to picture out how it feels like to have a family with the one they love. What usually comes into their minds is a happy family with a house full of kids. On a different note, there are some Western ladies who have lesser willingness to settle down and start a family. They are career-minded and are more focused on their professional growth than starting a family; thus, marriage might be the last thing they have in mind. Age difference is not an issue. Several women from Western countries prefer to date men who are of the same age as they are. Most of these women are very outgoing and thus, men of their age are more likely capable of dealing with their adventures as well. On a positive note, women in our site consider age as nothing but only a number. Age difference is never an issue to them. What’s counts for them is someone who is capable of giving them genuine affection which they are truly seeking for. Also, they prefer to date older men because of their maturity in dealing with reality. For them, privacy and simplicity matter most. Many Western women are more likely to plan out extravagant wedding celebrations which are easily noticed by outside individuals. However, women from A New Bride are more into having a private, simple yet elegant wedding. They also have unique wedding traditions that they ought to follow for cultural preservation’s sake. This is the reason why these women are settled with just a simple and solemn wedding celebration. In Asian wedding tradition, it usually requires colorful costumes. In Asia, colors have been a big part of any celebration. It is what makes their culture unique. In the Philippines, brides wear white bridal gowns, but sometimes, there are brides who prefer to wear red or black ball gowns. In Thailand, they are required to wear their “Chut Thai phra ratcha niyom” which usually comes with vibrant colors. Also, the couple has to have a pre-wedding celebration. This requires them to prepare a sumptuous meal for those involved in the wedding celebration, most specifically their families. In another continent, the European wedding traditions are more classic and elegant. European weddings are noted for their ‘throwing of the bouquet’, white elegant dresses and of course, their veils which are a symbol of the bride’s purity. It is also noted that the groom’s side will have to pay for the expenses. At present time, this is also practiced by some countries in Asia as well. In Latin wedding traditions on the other hand, groomsmen and bridesmaids are not included in the celebration unlike that of the other wedding traditions; however, they do have their godparents whom they believe can guide them throughout their marriage life. Throwing of the bouquet is not also common here. What they have is the so-called “cake pull” where the single women guests are to pull strings out from the cake, and see who gets the one with a ring on the edge. These are only few of the wedding traditions that these foreign brides have in their respective continents. 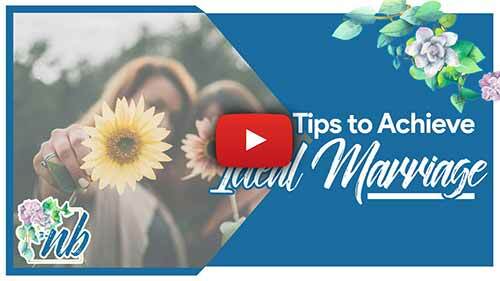 Before tying the knot, educate yourself of how things will go before, during and after the wedding,and how your life as married couple will go throughout the years. To meet, date and marry one of these women, register here for free to have chances of joining our singles tours.